Quick post tonight since its late. I just kind of wanted to show off my new vintage shoes. The pictures don't even begin to do them justice. They need to be stretched a little tiny bit, but other than that they are perfect and really well taken care of. I'm on a crazy Alexa Chung inspiration kick, but they remind me of something she would wear. Have a terrific Tuesday night! Oh, and can you tell that I really love yellow with black/grey/white? What a cute shoes. Love the ribbon. That shade of yellow is too cute on you! 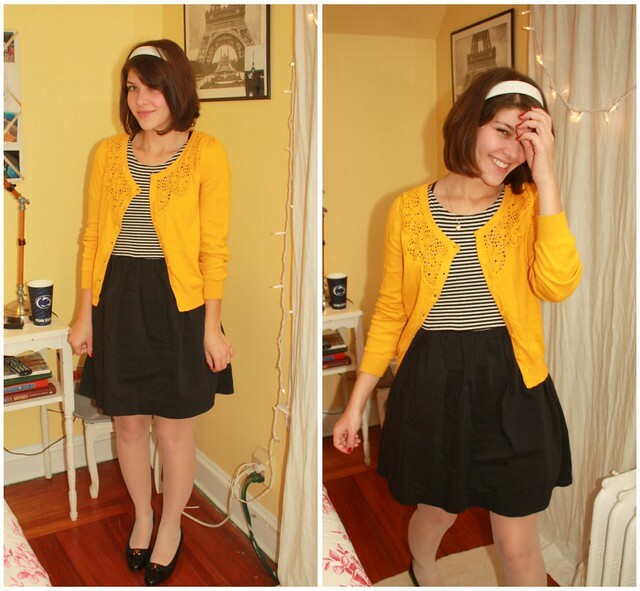 that yellow cardigan is amazing. i'm assuming that the shoes came from a cute little old lady, and if she was anything like my yiayia (greek for grandma) she took immaculate care of all her things... cute find! I love this outfit and the shooes are just killing it! 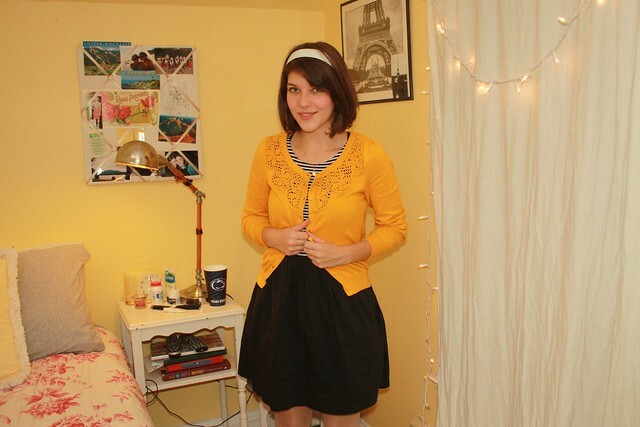 You belong in a Kate Spade ad with this cheerful yellow cardigan! Love the yellow - it really pops!